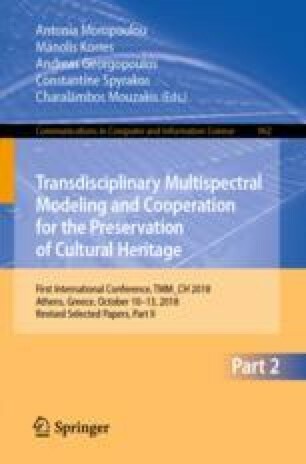 The purpose of this work is the development of a method for the acquisition of multispectral images at the infrared region on cultural heritage artworks. The infrared light is able to penetrate into deeper, to the surface, layers, especially at the mid and far infrared spectrum. To this end, Fourier-transform Infrared spectrophotometer, is utilized for the acquisition of multispectral data via a diffuse reflectance integration sphere to improve the quality of the detected signal. The integration sphere is mounted on a mechanical system to achieve a precise mapping of a region of interest. Then, The acquired data are combined to form the requested multispectral mapping imaging of the artwork. Advanced signal processing techniques are utilized on the spatial and spectral measurements to de-noise and enhance the imaging. Finally, the multispectral mapping reveals the sub-surface details of different inner layers.